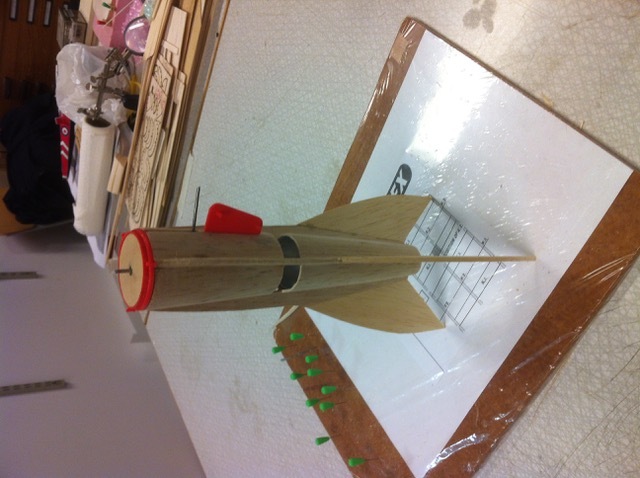 The Dan Dare Space Ship was not on the list of objects for my “recreate the Tailored Kits” project. Having seen only a few, not very good, pictures on internet, I had no idea how it worked, but with one appearing on eBay this summer I had to rethink. 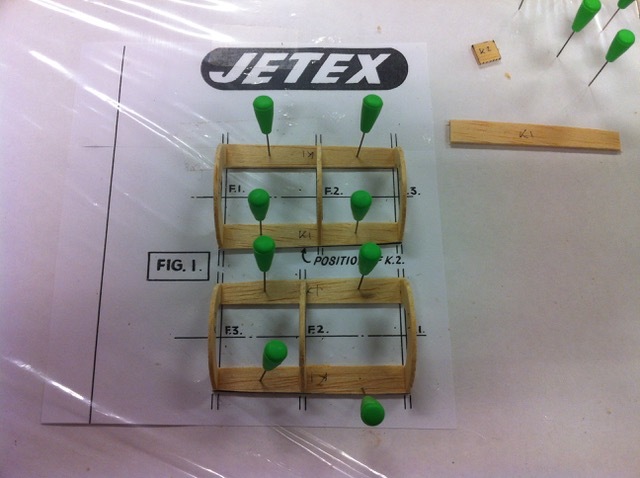 After studying all the remains and scrap balsa / plywood in the pictures, the construction and function of the spaceship and the launching ramp became quite clear, and the spaceship moved right to the top of the list. 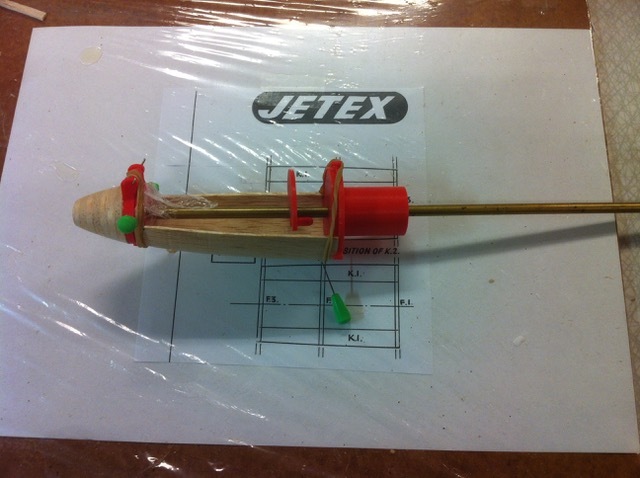 It is probably the tailored kit that would be easiest to convert to Rapier power, if there is not room for a rapier adapter in the augmenter tube, you just make a Rapier lower part for the rocket. With the kind assistance of Roger and Tony Butterworth I got copies of the plans, so here we go. 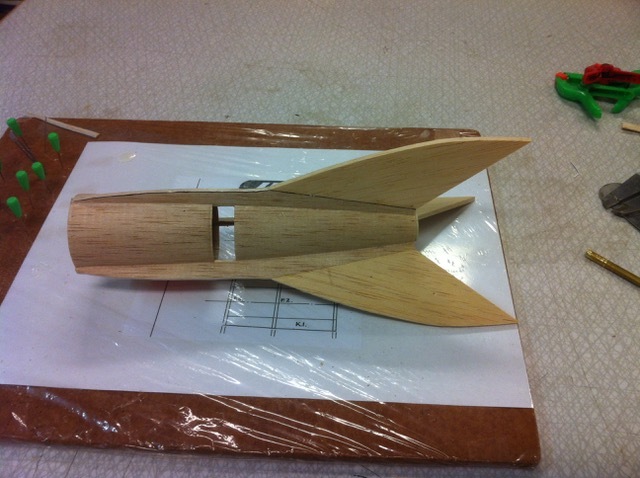 First step was to make a mould for the skin of the lower part of the rocket. It takes three parts to make the full hull, and where glued together, the double thickness makes out the roots for the fins. 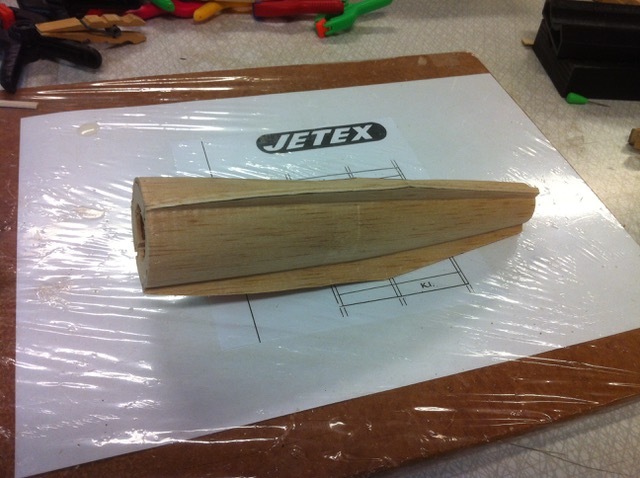 I started with 1.5mm balsa for the hull, the fins will be 3mm. 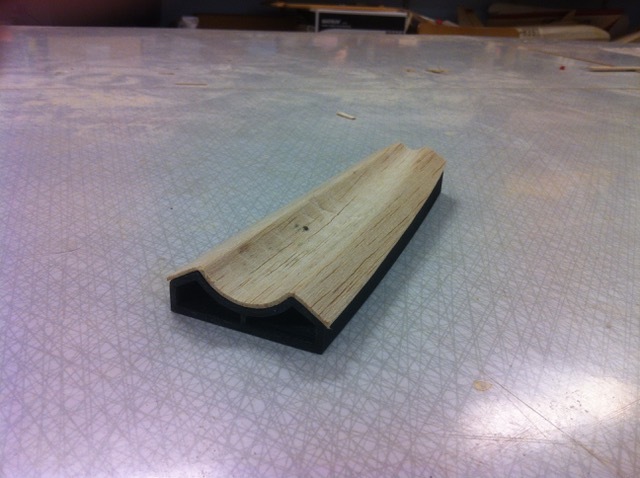 and cut out and assembled the hull frames. Here with plastic parts test fitted. 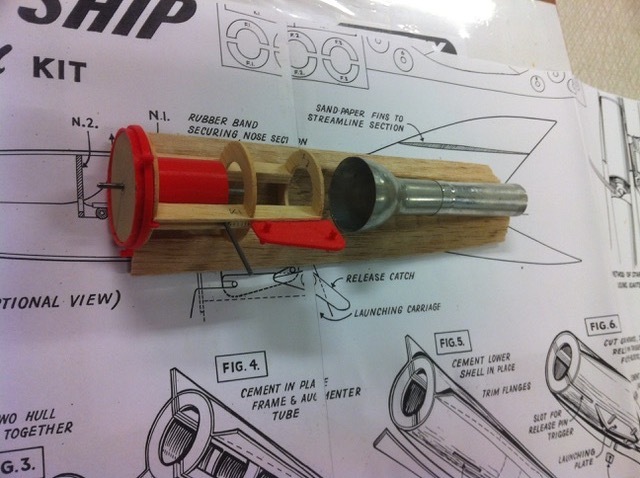 The different parts test fitted in the first 1/3 of the hull. 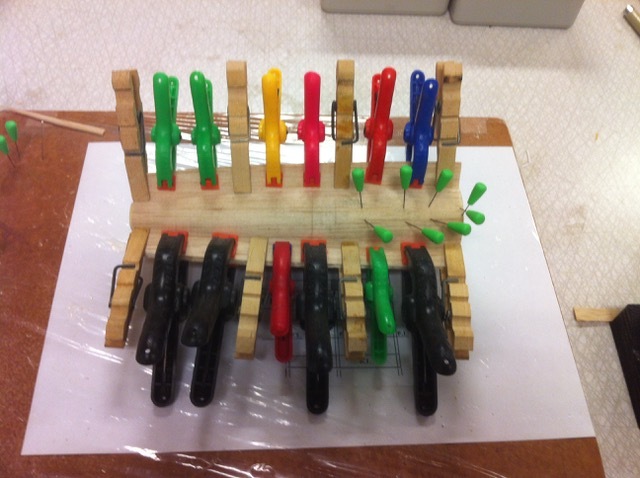 And with plastic parts test fitted. Now, on to the nose…. After forming the skin in the same way as for the rear end of the rocket, and printing the plastic parts with my 3D-printer, all parts were alined on a piece of brass rod, and glued together. 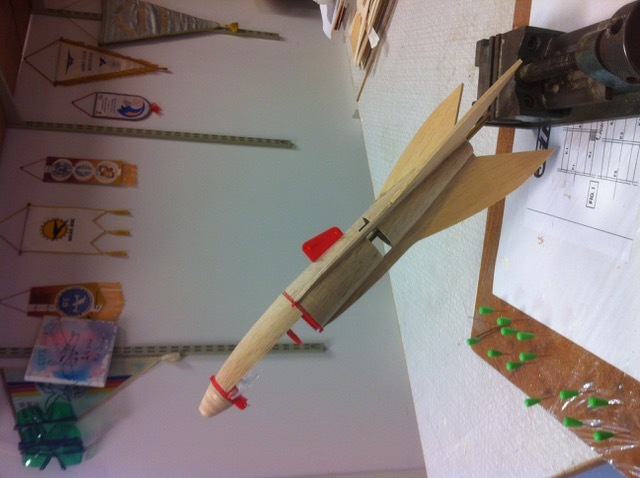 So, except for the parachute hatch, a lot of sanding, and some other details, the rocket is more or less finished. Except for the motor of course. There was a 50HT on eBay last week, but it sold over 200$, so I'll have to keep on looking. I'll now start the work with the launching ramp. 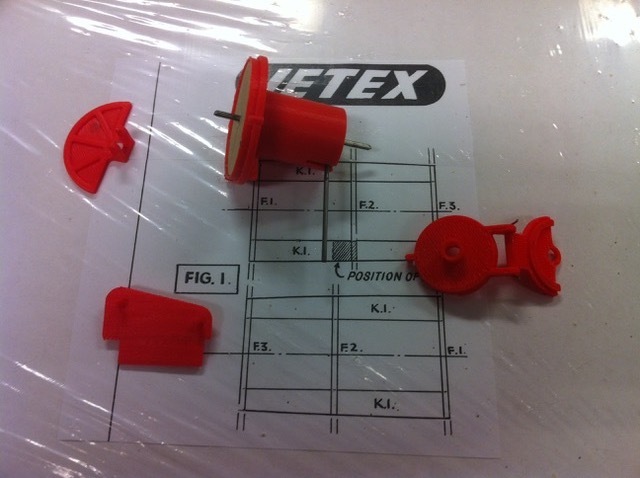 It will take some time to create the plastic parts, since the plan is not very detailed, and they all interact with something, so I think there will a lot of trial and error to get it right. If there is someone out there actually having the kit I would appreciate a little help with some of the dimensions. 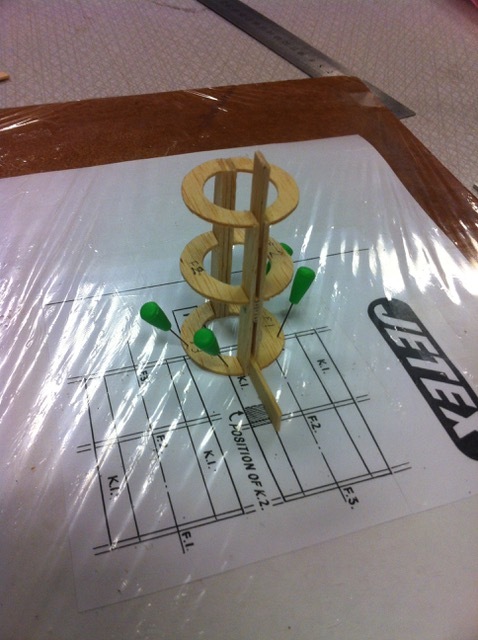 I have a part built kit of this contraption, it came with the catapult already built!! Tell me what you need in the way of pictures and I'll try to oblige. Wow, absolutely brilliant Gunnar, you rock! Andy does too of course!!! 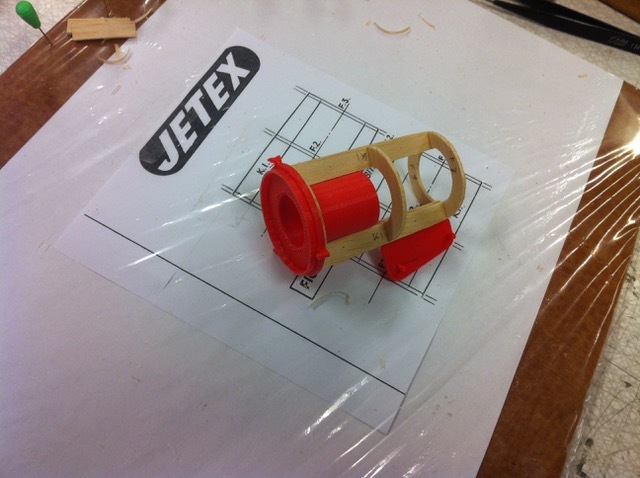 Andys help will be invaluable when it comes to recreating the catapult, which is much more complicated than the rocket.